Today’s cooking adventure: poaching eggs in the oven. 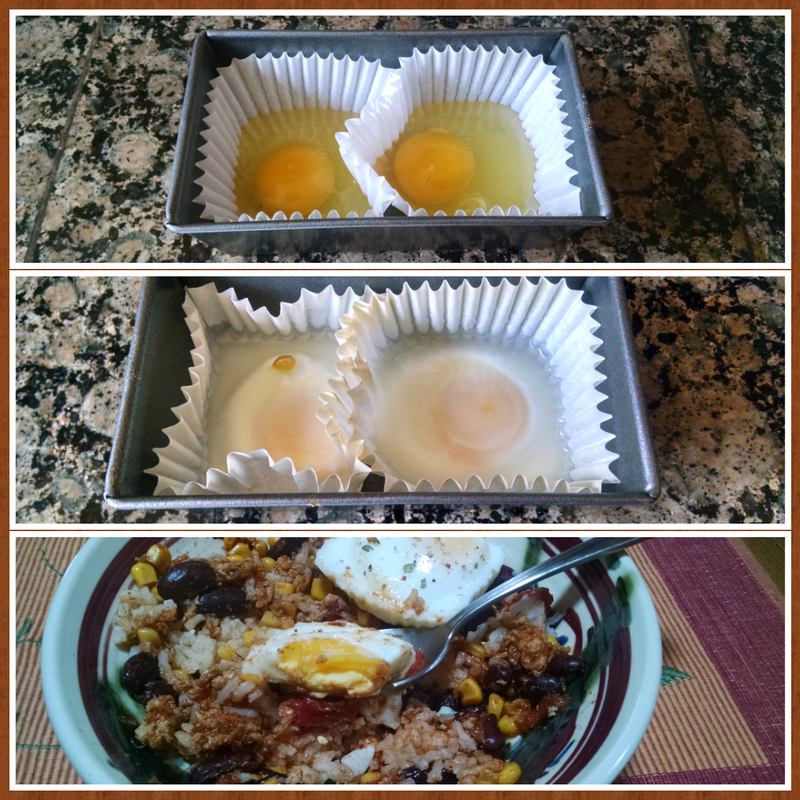 – Will using cupcake liners work? Let’s find out! Baked at 350° for 15 minutes, plus 2 more minutes while my chili was in the microwave. A big part of the appeal of poached eggs for me are the runny yolks, so these are way overcooked for my taste. It’s hard to tell that by just looking though! The eggs stuck to the paper a bit, but not too badly. They also got a rubbery skin, similar to the “baked egg in avocado adventure” (remember that?!). I’d try this again! And cook for shorter time, and maybe less heat. Uses a lot less water than boiling on the stove. Hahahaaa!! If I used Pinterest more, I’d post this as a #fail. This recipe looked simple enough, but nooooo…. I learned a bunch of things though. I might be willing to try again. I’d better – I have a Costco-sized bag of avocados. 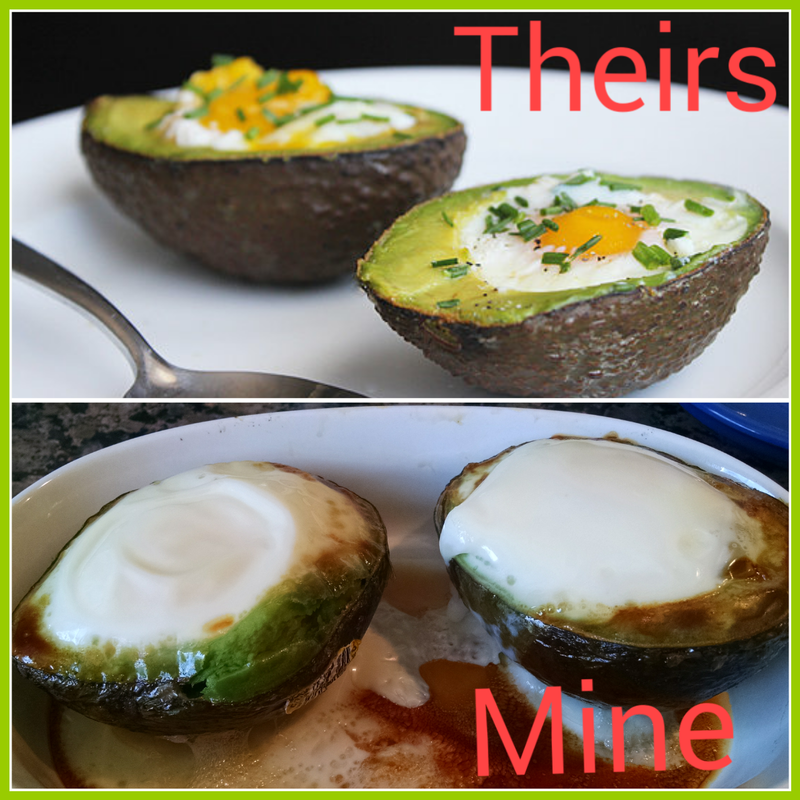 – Scoop out more avocado before adding the egg. I thought I scooped out enough. Nope. – The recipe says to put the avos in a baking dish and get a tight fit. That’s so the avos stay upright and the egg doesn’t spill out. – The avo skin gets very soft after being baked for 15-20 minutes. And they are quite hot. I was not willing to hold the “food item” with one hand and scoop with the spoon. I ended up peeling the avo skin off and knife-and-forking it. Since the egg had skinned over, it did not mind being manhandled. – Taste: It tasted like warm avo and egg. Big whoop. Haaa! !